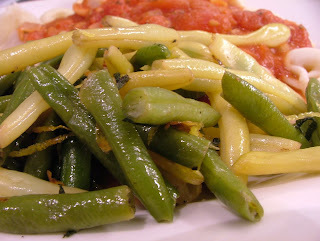 Green and yellow beans are among my favorite vegetables. 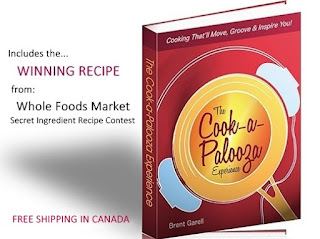 Part of their appeal is that they’re easy to prepare and can be presented in so many different ways. They're similar to musical artists who continually change their image. 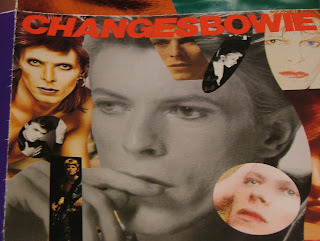 One such artist who has undergone many different iterations of style is David Bowie. From his ‘70s Ziggy Stardust persona to the more sophisticated Bowie we know today. No matter how many different ways he has adapted himself, the music has most often remained brilliant! 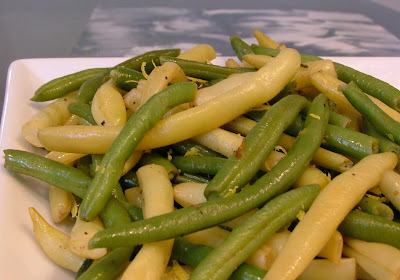 Green and yellow beans are in the same class but from a flavor perspective. It’s hard to go wrong when you dress beans up with almonds, serve them in a casserole or cover them in a maple syrup glaze. The possibilities are endless! I was drawn to this recipe (which I adapted from a 2001 Bon Appétit magazine) for its simplicity. I’m very fond of “fooled you” recipes; dishes that are incredibly easy to prepare yet come across like you require a culinary degree to put them together. Coating the beans in butter that has been flavored with sage and lemon zest works exceptionally well. It adds a delicate citrus and herb flavor that’ll have friends and or guests asking how you prepared them. I cooked this vibrant side dish while listening to a David Bowie compilation and served them alongside a plate of tomato tortellini. Songs such as Jeangenie, Fame and Golden Years set the mood for an energized cooking experience and the tortellini and beans were a complimenting combination. This side dish certainly won’t draw the type of attention Bowie’s Ziggy Stardust persona did in the ‘70s, but it possesses a flavor that is worthy of serving alongside just about any main course. Place beans in a large steamer basket. Set steamer basket over a large saucepan of boiling water. Cover and steam beans just until tender, about 8 minutes. Drain well and set aside. 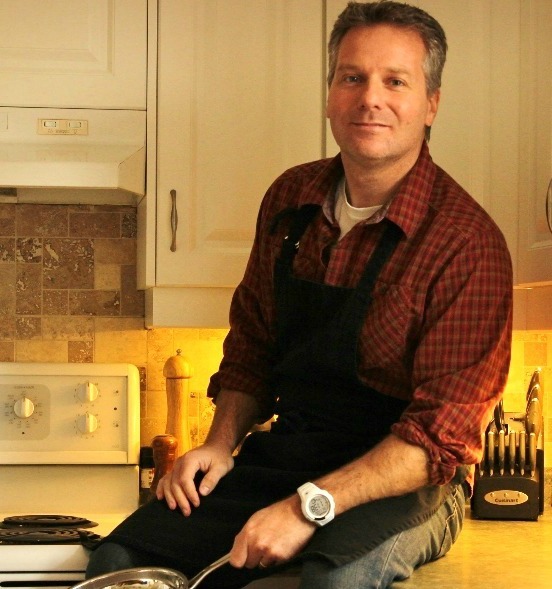 In a large skillet, melt butter over medium heat. Add half the lemon zest and sage. Cook and stir until fragrant, about 2 minutes. Remove from heat. Stir in steamed beans and toss until coated. Season with salt and pepper. Garnish with remaining lemon zest.